For more than 20 years, Sentiers de France has helped lovers of walking to explore France’s most beautiful landscapes. The company was born from the travels enjoyed by Jean-Marc and his wife, Katie. A keen walker, but lacking the time to create his own itineraries, Jean-Marc searched for an agency to provide what he wanted: great walks, restaurant and hotel recommendations, taxi services to transport the bags to avoid being laden down all day and above all maximum freedom and comfort. He searched in vain. Rather than admit defeat, he decided to create Sentiers de France to explore France, but on his own terms. No guides, or groups, so he could set off when it suited him and above all be completely free during his walk. Hotels, with two or three stars, to offer the best conditions in which to relax after a long day of walking and above all great restaurants in which to recharge energy levels, while savouring the gastronomic riches of each region being explored. 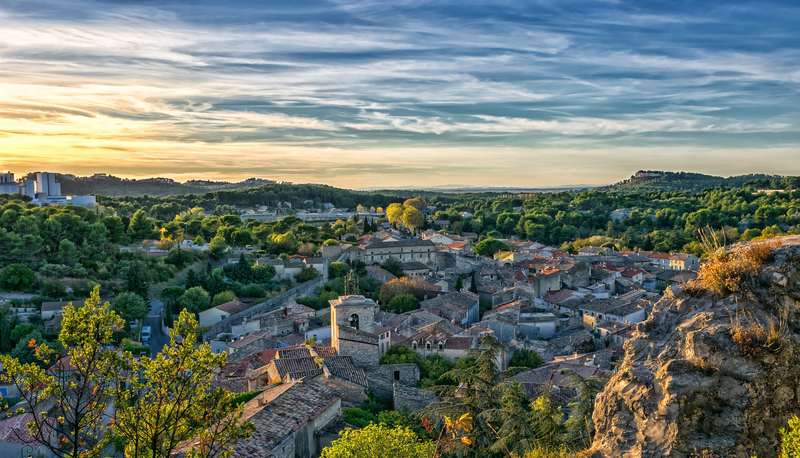 We often forget it, but France, a key tourist destination, offers an incredible variety of landscapes. Each region has its riches, whether gastronomic, œnological, cultural or historical. All the walks have been created and tested by Jean-Marc, and then later given the seal of approval by our hundreds of walkers who by filling in our customer satisfaction surveys help us to improve and enrich what we offer. Every year, new circuits are born as we discover them and as they are requested. We all want different things, which is why all our routes are à la Carte. Nothing is carved in stone, Jean-Marc wants Sentiers de France to evolve constantly. We evolve as required. This is how, a little while later, our cycling and scenic car routes were born. There is more than one way to visit France, which is why for many years, we have offered cycling holidays in the Loire Valley. The area’s rich history has left its traces here, with magnificent châteaux created by our kings. And of course, let us not forget Touraine’s many wines, renowned around the world. So as not to miss anything, we have travelled France’s most beautiful routes through the most beautiful regions. Often, due to a lack of time or information, you can pass by magical places without realising. Our scenic car tours will ensure that you do not miss a thing and you will discover the very best. Now, Sentiers de France has evolved once more. Eugénie,has joined the Sentiers de France team. Jean-Marc is working on a daily basis to pass on his incredible know-how and his experience of the paths and routes of France. In this digital era, Sentiers has launched on Facebook and Instagram so that you can always stay up to date with our latest finds. Finally, we have developed our website, to modernise it, so it better reflects our great company and so you can join our great community of walkers, cyclists and drivers as easily as possible. We hope you enjoy your journey around our website!